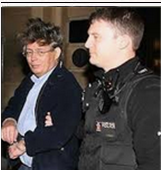 fenn - WAS THERE AN ATTEMPTED BURGLARY OF MRS PAMELA FENN’S FLAT IN THE WEEKS BEFORE MADELEINE WAS REPORTED MISSING? WAS THERE AN ATTEMPTED BURGLARY OF MRS PAMELA FENN’S FLAT IN THE WEEKS BEFORE MADELEINE WAS REPORTED MISSING? Did this alleged burglary take place as claimed? She claims however, that a week previously she was the victim of an attempted robbery, which was not successful and neither was anything taken, thinking that the crying of the child could be linked to another attempted robbery in the residence. Expat Pamela Fenn, 73, told them she disturbed a burglar at her apartment about three weeks before Maddie vanished. She is now to give a formal statement to Portuguese officers. 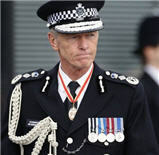 A friend said: "She was surprised that neither the police nor the McCanns had approached her before”. In a new development, a British expat has come forward with dramatic new evidence. 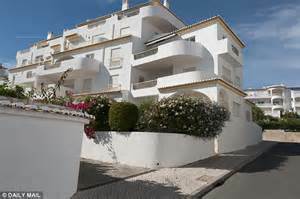 Pamela Fenn said a man broke into her flat above the McCanns' holiday apartment in Praia da Luz, on the Algarve, just weeks before Madeleine disappeared. There was no sign of a break-in and it is thought the intruder may have had a key. Mrs Fenn, who is in her 70s, found the man scrambling out of the window and tried to grab his ankle. But he escaped. She reported the incident to Portuguese police but they did not question her again. The information only resurfaced after British police reviewed the case two weeks ago. Mrs Fenn will now be formally interviewed for the first time on Monday. In the weeks before Madeleine disappeared Mrs Fenn scared off an intruder who had apparently let himself into her apartment with a key. It was one of a series of similar crimes reported to Portuguese police. A police source told The Daily Express: “Next week we will be taking statements from several witnesses. We want to clarify details which may be relevant to the new line of inquiry in the light of the facts we have found”. Mrs Fenn has told police how she scared off an intruder she found in her apartment in the Ocean Club complex in Praia da Luz in the weeks leading up to Madeleine's disappearance. There was no sign of a break-in and police believe he may have used a key to get in through the front door. The terrified mother was watching TV in the evening and went to investigate a noise coming from her bedroom. Mrs Fenn, who has lived in Praia da Luz for a number of years, discovered a man scrambling out of the window. She tried to grab his ankle but he escaped. She reported the incident to police but did not believe anything was taken. A friend of Mrs Fenn told The Daily Express last night: "She is an elderly lady who is quite nervous and was very shaken up after the break-in. 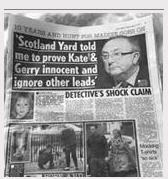 "She was surprised that neither the police nor the McCanns had approached her for information before. "Even though she lives in the apartment directly upstairs the police had never tried to get in touch with her to ask her if she saw or heard anything the night Madeleine disappeared. 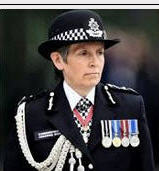 "The first time a police officer spoke to her was when the British officers with sniffer dogs knocked on her door and searched her apartment. "She told an officer what she knew and now she has been asked to make a formal statement. "Portuguese officers have told her they will pick her up at 10am on Monday and drive her to police headquarters in Portimao. "On the night she found an intruder she was sitting at home watching TV when she heard a noise in her bedroom. "She went to investigate. The man must have heard her coming and was scrambling out of the window. She just saw the back of his head and arm and she tried to push him out of the window. "She was shaking with fear and called the police. There was no sign of a break in and she thought he must have somehow come in through the front door. "She now thinks the information may prove significant in the investigation. "Her niece who lives in England was staying with her when the McCanns were on holiday. ‘The under-fire Portuguese police are preparing to take a fresh look at reports of two earlier break-ins in the apartment block where Madeleine McCann and her family stayed. 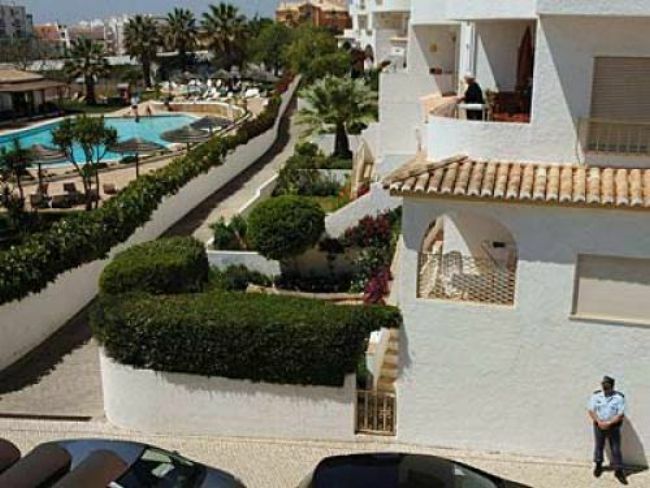 Both burglaries, one in the apartment directly above the McCanns’ flat, are understood to have happened two weeks before the McCanns arrived in Praia da Luz. Mrs Fenn scared him off. She has told friends she heard a noise as she watched television and found a man escaping through her bedroom window. Her niece, who was staying with her, also saw the man. It is also understood that the description given by two witnesses of a man spotted on the night of one of the burglaries is similar to the description given by a friend of the McCanns who said she saw a man carrying a child in his arms the night Madeleine went missing. The police are now set to re-interview a number of witnesses from the Ocean Club, a source close to the Policia Judiciaria said, in order to “clarify details that may be relevant to the new line of inquiry, in the light of facts we have found”. The alleged break-in is said to have happened within days of a second burglary in the same block. A Scottish holidaymaker said that on the first night of her stay, she and a friend returned to the flat to find their belongings and £500 worth of foreign money had been taken. But there was no sign of forced entry at the second floor apartment and police called to the scene told the middle-aged book-keeper that they believed someone with a key was the most likely suspect, sparking concerns about security at the complex. Among them will be ex-pat Pamela Fenn, a widow in her 70s. She claims she "scared off" an intruder who had broken into her apartment in the days before the McCanns arrived to stay in the holiday flat directly below her. Mrs Fenn has told friends she heard a noise as she watched television and found a man escaping through her bedroom window. Her niece, who was staying with her, also saw the man. The widow reported the incident to police but claims no one contacted her after Madeleine vanished - until two weeks ago, when British detectives called on her. Mrs Fenn has said that in the weeks leading up to Madeleine's disappearance she scared off an intruder in her apartment. There was no apparent sign of a break-in and it is thought the man may have had a key to let himself into the flat. She will be making a formal statement today at police headquarters in the city of Portimao. There was also another burglary in the complex a few weeks before in which police also suspected the intruder had a key. Mrs Fenn has also told police about an attempted burglary at her apartment several weeks earlier. She said a man broke in through the first-floor window but she disturbed him and he jumped out of it. The source said: “She did not think it was significant. She has lived in Luz for some time and at her previous address was the victim of burglaries on a regular basis. “There are lots of drug addicts in the area who prey on tourist apartments. Nothing was taken so she did not initially report it to the police”. The report of an intruder echoes the experience of a Scottish holidaymaker at the Ocean Club resort just three weeks before Madeleine went missing. How did the burglar get in? What was Mrs Fenn doing at the time? Did Mrs Fenn report it? 1 When? One week before? Two weeks? Three weeks? Several weeks? 2 Carole Tranmer there – or not there? 3 How did the burglar get in? With a key? Through the window? 4 Where was Mrs Fenn watching TV? How did he get to the bedroom without disturbing her? – via the front door, climbed through the window, or did he sneak past her whilst she was engrossed with the TV? 5 ’Phoned the police – or didn’t report it? 6 Found him already escaping? 7 Jumped out of the window, or was ‘scrambling out of the window’? 8 Tried to push him, or grab his ankle? 10 If he entered or left by a window, which was it? How far would he have had to jump? 11 Did he land safely? What happened next? Did anyone else hear him? Did any such burglary actually take place? Re: WAS THERE AN ATTEMPTED BURGLARY OF MRS PAMELA FENN’S FLAT IN THE WEEKS BEFORE MADELEINE WAS REPORTED MISSING? Mrs Fenn was 81 in 2006, not 71 or 73, as often reported. I would have thought a 79 year old woman would have run in the opposite direction if there was a burglar in her home, not "try to push him through the window". And what about the elusive Carole Tranmer? She's a bit of an enigma. According to her statement, she arrived in Portugal the same day as the McCann's. So how can she be witness to a burglary in her aunt's a week or two previous. Moreover, IF CT WAS there when she witnessed the burglar in her aunt's, surely, CT would have taken the initiative and SHE would have contacted the police, and sort things out for a 79 year old lady? @sallypelt wrote: Mrs Fenn was 79 in 2006, not 71 or 73, as often reported. I would have thought a 79 year old woman would have run in the opposite direction if there was a burglar in her home, not "try to push him through the window". And what about the elusive Carole Tranmer? She's a bit of an enigma. 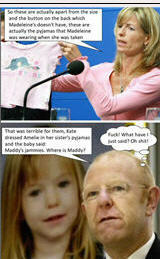 According to her statement, she arrived in Portugal the same day as the McCann's. So how can she be witness to a burglary in her aunt's a week or two previous. Moreover, IF CT WAS there when she witnessed the burglar in her aunt's, surely, CT would have taken the initiative and SHE would have contacted the police, and sort things out for a 79 year old lady? I think it's very doubtful whether Carole Tranmer was even in Portugal that week. She says the trip is to look for somewhere to live in Portugal. She stays - she says - 50 miles or more east of Praia da Luz. Yet on two separate whole days she makes a 100-mile round trip to take her aunt out to lunch - so 2 out of the 6 days NOT looking for houses. And when asked about the position and layout of her aunt's flat, she gets herself in a terrible tangle, talking about the third floor and the place being o two levels etc. Moreover, many press stories state as a fact that Carole Tranmer was 'staying with Mrs Fenn that week'. Madeleine was headline news around the world from early morning Friday...and she doesn't know that a young girl disappeared from Praia da Luz until hubby nips down to the paper shop and buys a Sunday Times? ETA: BY the way, this discussion opens up a wider debate, not just about whether this burglary took place, but whether either Mrs Fenn or Carole Tranmer is a 'witness of truth'. Was the flat her permanent home? For Paulo Sargento, the thesis that Gonçalo Amaral revealed at first hand to "SP" that the blanket could have been used in a funeral ceremony at the Luz chapel "is very interesting". And he adds: "In reality, when the McCanns went to Oprah's Show, the blanket was mentioned. 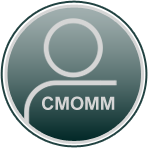 At a given moment, when Oprah tells Kate that she heard her mention a blanket several times, Kate argued that a mother who misses a child always wants to know if she is comfortable, if she is warm, and added, referring to Maddie, that sometimes she asked herself if the person who had taken her would cover her up with her little blanket (but the blanket was on the bed after Maddie, supposedly, disappeared!!!). I don't believe there was an attempted burglary. Had this been the case wouldn't she have been even more concerned to hear a child crying and do something to get it checked? My first thoughts would be in that situation, that it could be another attempted burglary with the claimed one just 3 weeks prior. For me, a lot of this could be answered/cleared up by the telephone records of each and every 'witness' not just Mrs Fenn and Carol Tranmer. For an innocent witness to be asked for permission to trawl their phone records by the PJ wouldn't be a problem would it? Or is that an infringement of civil liberty and one needs to be all 'lawyered up'. I'm guessing the latter. If you'd like to view the full detailed range of various reported stories from Mrs. Fenn then these appear towards the end of the 3rd video of the "When Madeleine Died?" documentary (or about 2hrs 35mins into the full 4hr compilation). Justice... Fought for by the masses. Purchased by the wealthy. Traded by the powerful.